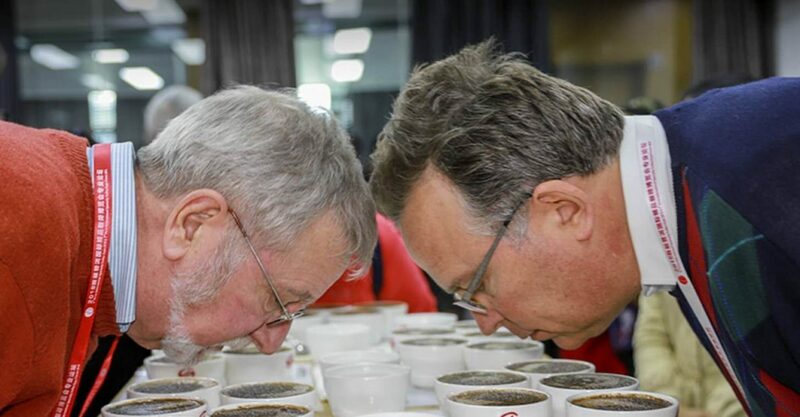 It’s been just over two years since the Coffee Quality Institute (CQI) partnered with the Yunnan International Coffee Exchange (YCE) to bring quality processing and cupping training to the Yunnan Province of China. 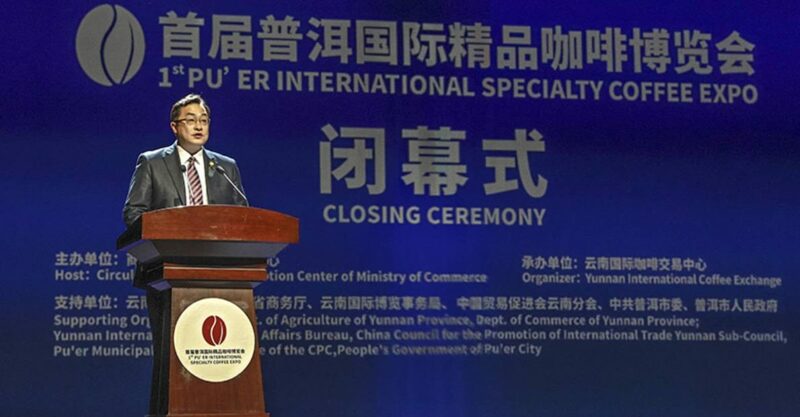 With funding from the Chinese government and the Yunnan Flower Exchange, YCE has been able to move quickly towards a bright future for coffee growers and traders in China. 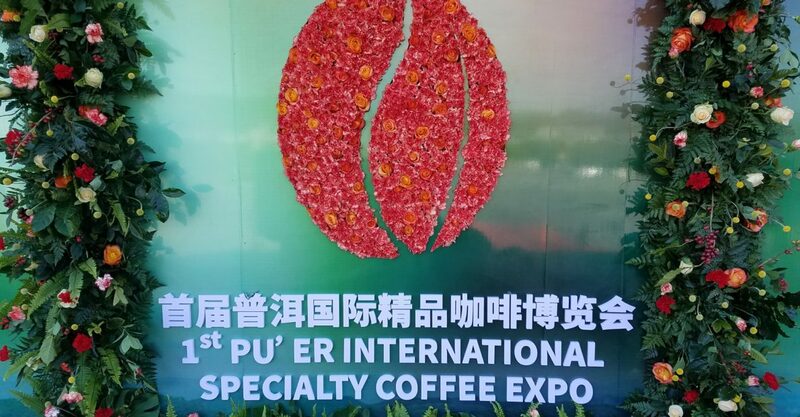 As a big push in this movement, YCE, the Yunnan Flower Exchange, the Chinese government, and CQI put together the 1st Pu’er International Specialty Coffee Expo and Forum this past month. 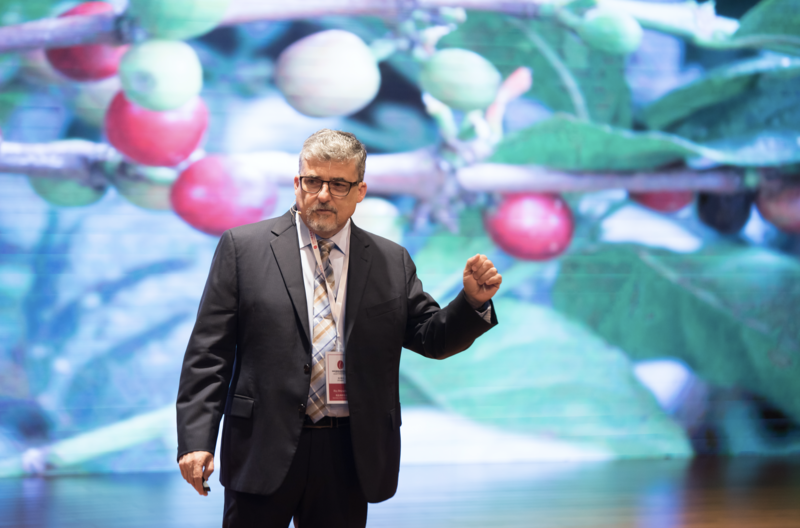 This event is a huge feat for the Chinese coffee industry and brought extensive knowledge to producers, roasters, and shop owners from the area via an impressive list of international and domestic speakers. 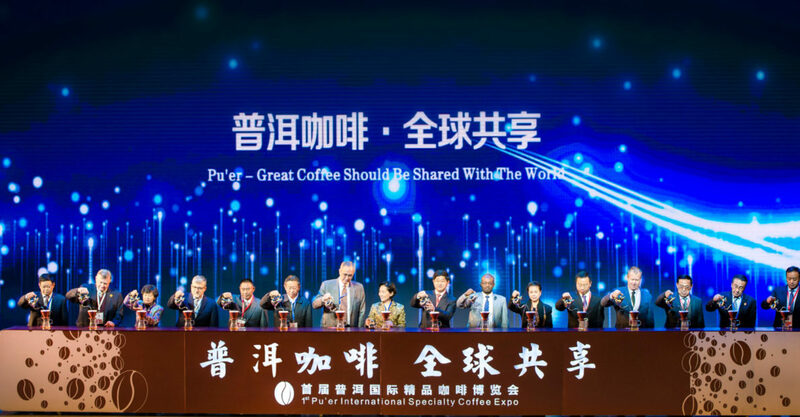 International speakers at the forum included people such as Ted Lingle (Senior Advisor to YCE), David Roche (CQI Executive Director), Ric Rhinehart (Specialty Coffee Association Executive Director), Laila Ghambari (Stumptown Coffee Roasters Head of Education), Tim Heinze (CEO of Hani Coffee Co. and Yunnan Coffee Traders), Liam Brody (President of Sustainable Harvest), and many more. 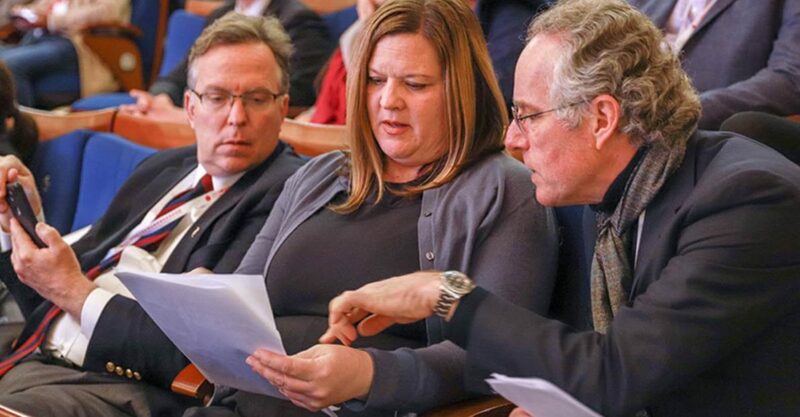 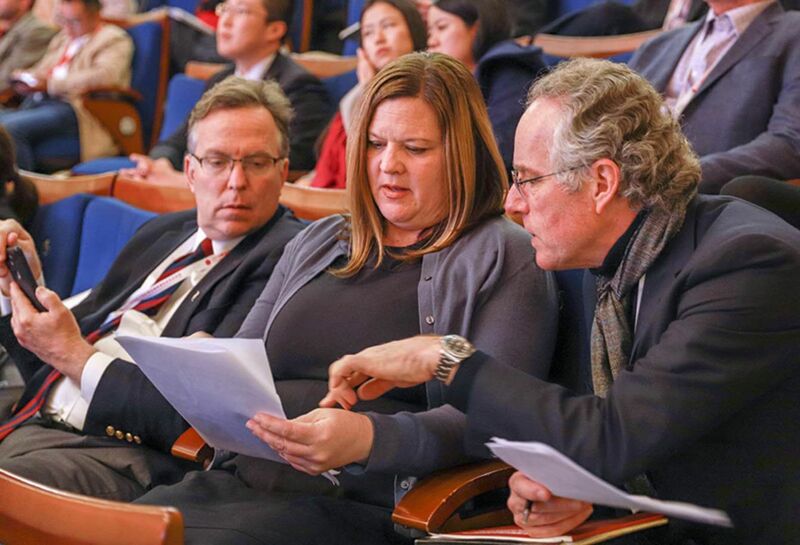 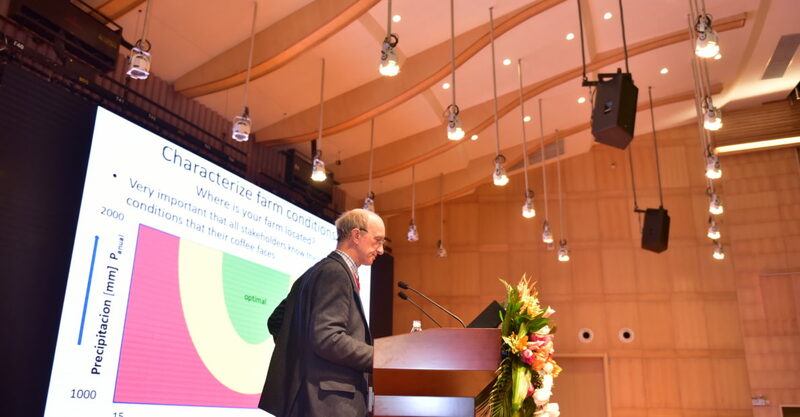 Topics ranged from plant genetics to shop designs. 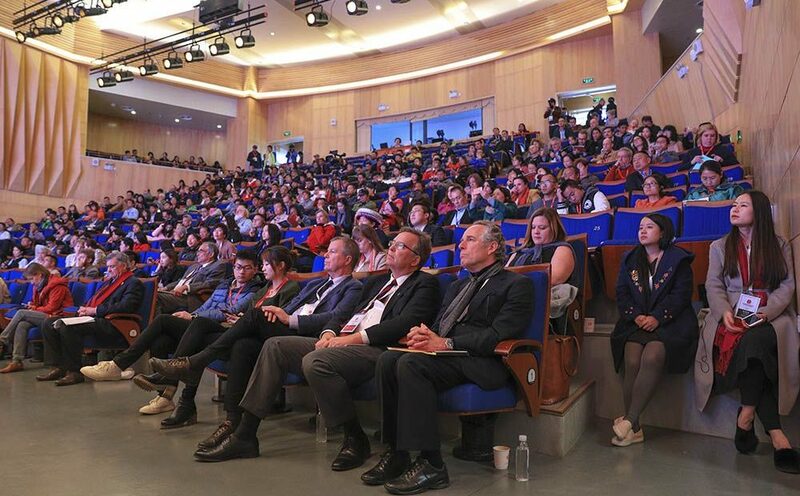 Not only did the Chinese government supply a good portion of the funds for the event, but they also supplied 97 volunteers, 36 of which were English speaking and used as translators. 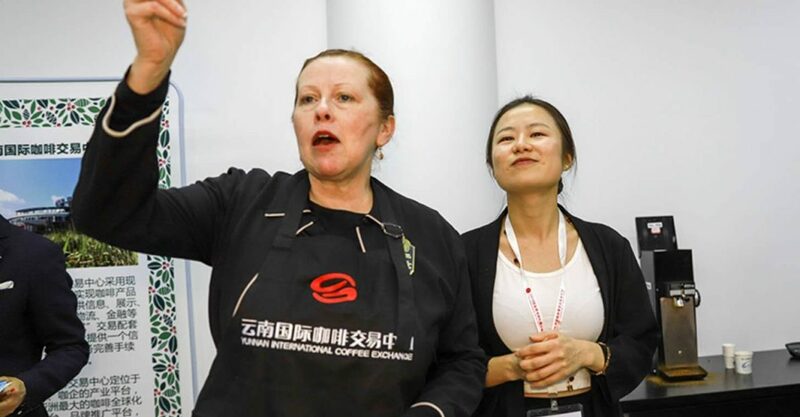 These English speaking volunteers were mostly comprised of local English teachers and were all on their 3-week Chinese New Year holiday, yet spent close to 12 hours a day assisting at the forum and expo. 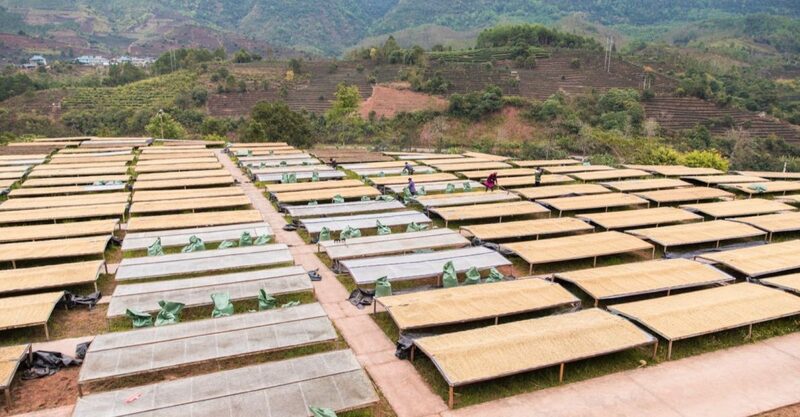 This type of Government support will surely help catapult the country into becoming one of the world’s top coffee producing countries. 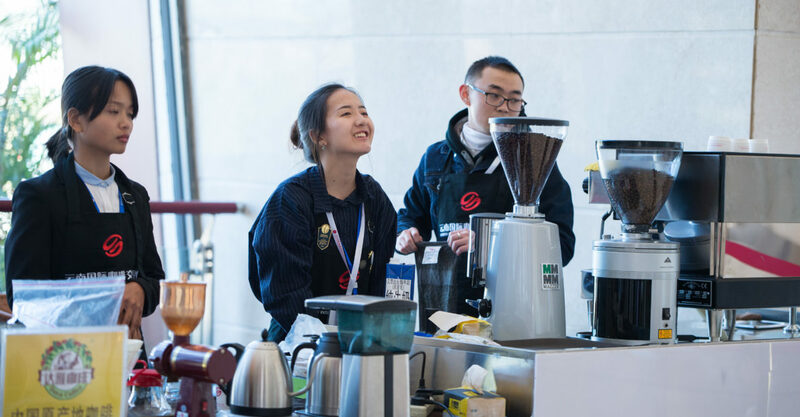 The Yunnan Flower Exchange, a direct partner with the Yunnan International Coffee Exchange, was also a huge support in the event - providing not only funding but beautiful decorations made of flowers and sending many employees weeks before to make sure everything ran smoothly. 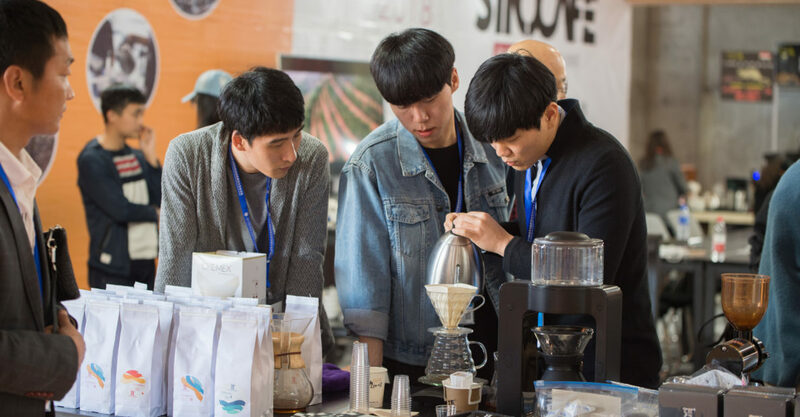 During the second and third days of the forum, participants and speakers were invited a short walk away to the YCE facilities for cuppings, tours, and face-to-face networking with local producers. 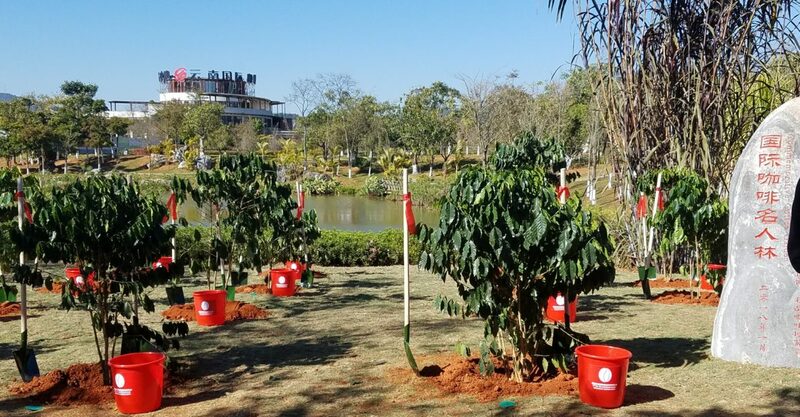 There was also a planting ceremony where speakers and government officials planted coffee trees together in the celebration garden outside of YCE. 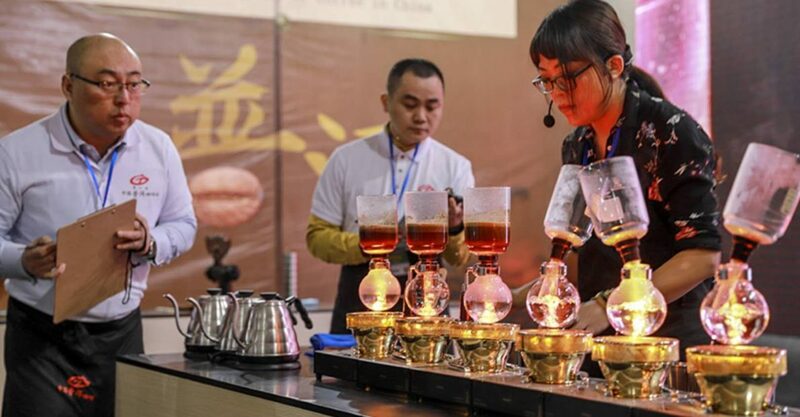 There were many rituals like this throughout the event, but it brought Chinese and international people together in a fun way and was a method of intertwining traditional Chinese practices into the coffee world. 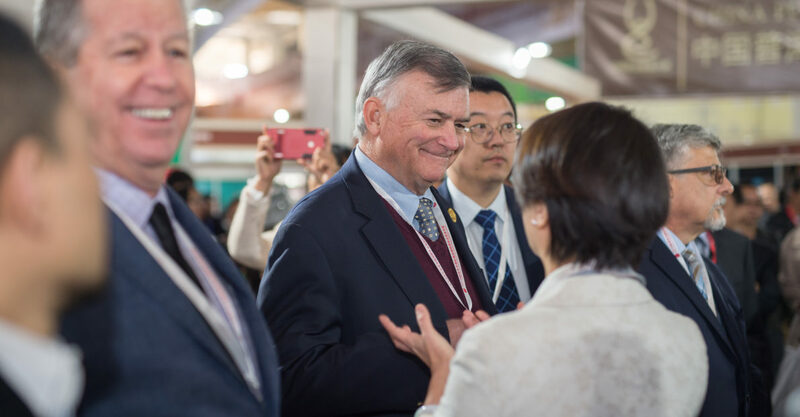 Following forum and expo activities was 2 days of farm tours. 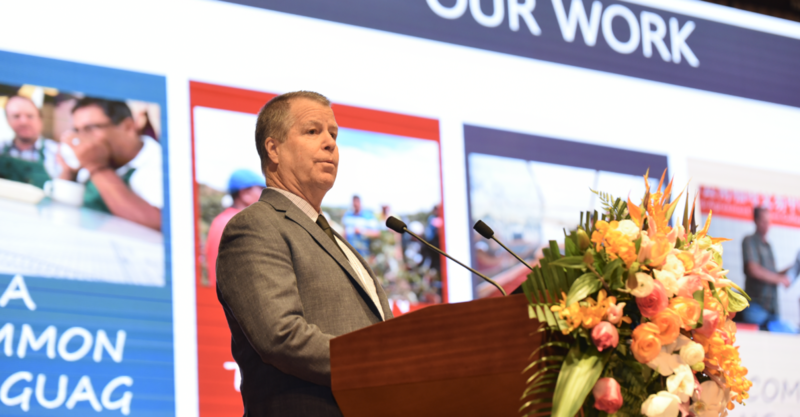 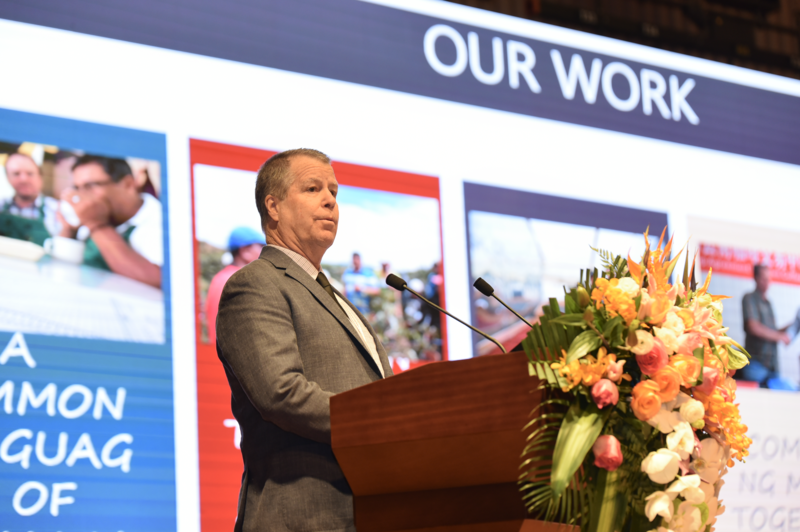 The farms were selected by Ted Lingle as ‘Model Farms’ during his ‘Model Farm Project’ in different areas of the Yunnan Province. 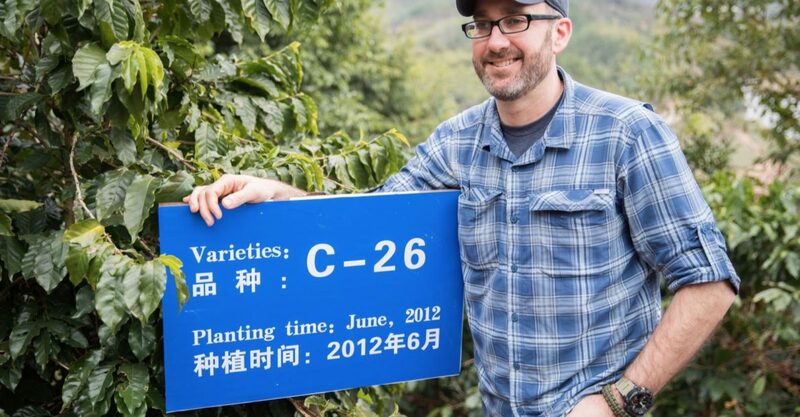 They ranged from small and improving like Manlao River, to larger and more established like Aini Garden, who has a long-time partnership with Starbucks. 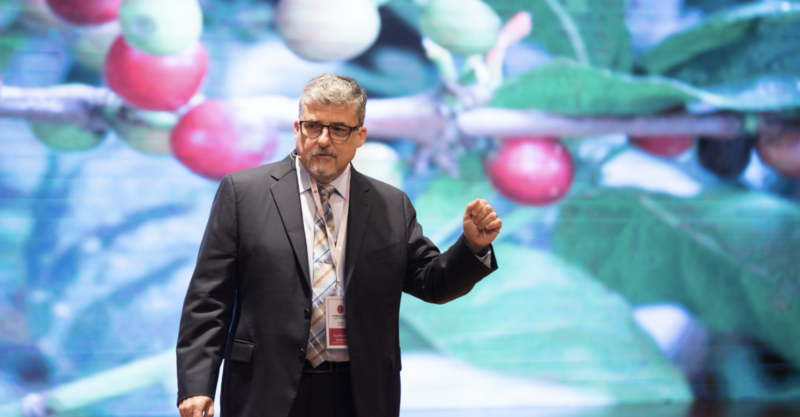 During the first day of the farm tour we witnessed at least one sale at Manlao River to one of the international speakers, which in itself is a big step for small coffee farms in China. 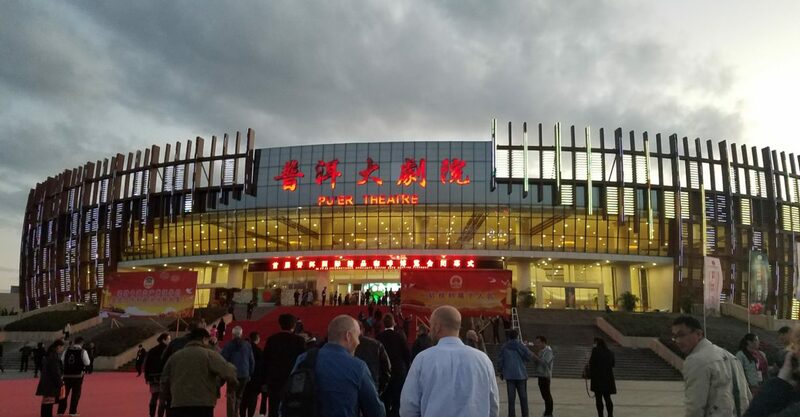 International guests, employees, and speakers had to travel several days, enduring multiple airport transfers to reach Pu’er for the event. 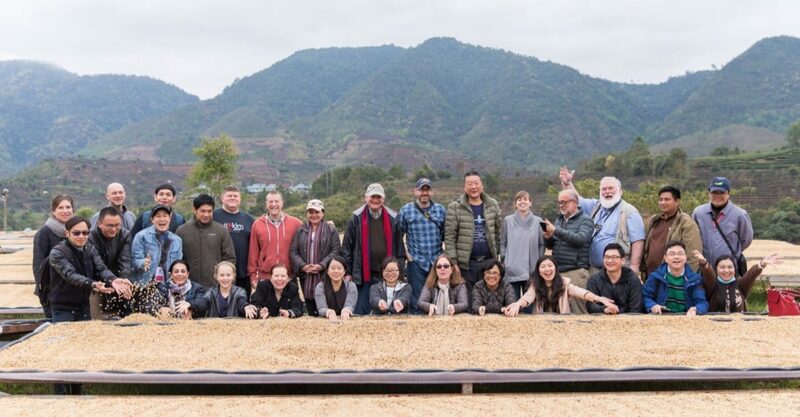 We are truly impressed and humbled that these important coffee community members took the time and energy to visit Pu’er, see all the progress that is being made, and share their valuable insights and time with local coffee professionals.